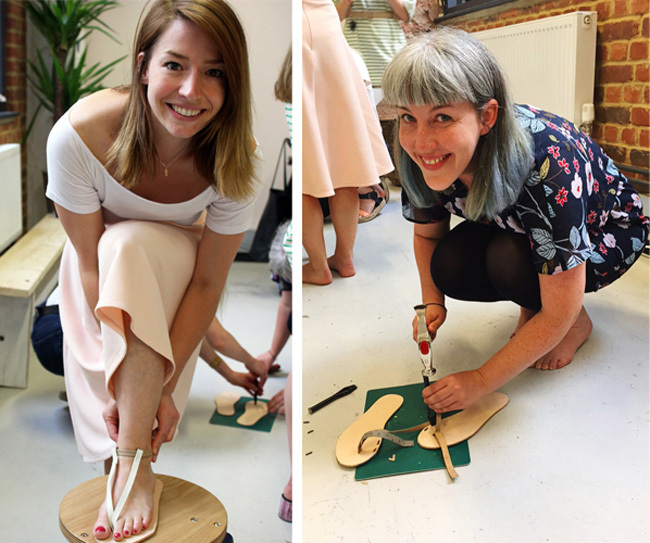 If you follow our Instagram, you may have noticed that (some of) team Tilly and the Buttons were out of the studio on an away day earlier this month (Vanessa and Louise sadly couldn't make it), when Tilly treated the team to a sandal making workshop at I Can Make Shoes! Lexy here, to tell you a bit about our day. 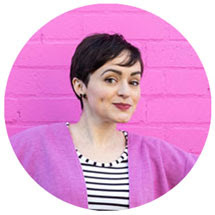 I Can Make Shoes is the brainchild of Amanda Overs, who wanted everyone to have the opportunity to craft their own footwear, without the need for industrial machinery. 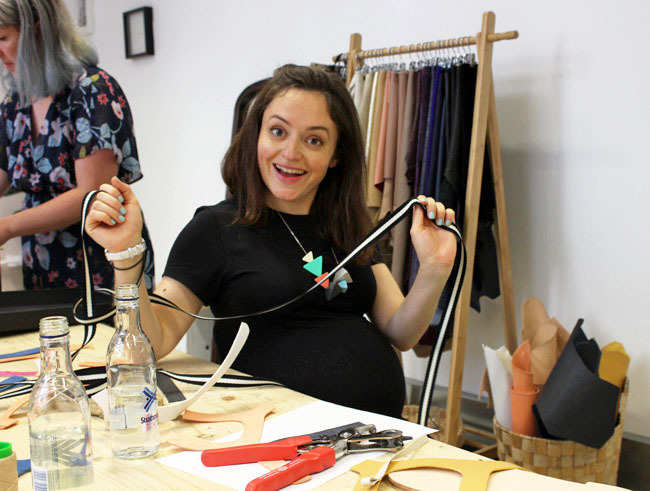 She came up with a method of creating high-quality shoes that can be done from the comfort of your own home (or indeed her lovely space at Pillbox Studios, in London). Amanda had laid everything out for us, and we couldn't wait to get started! 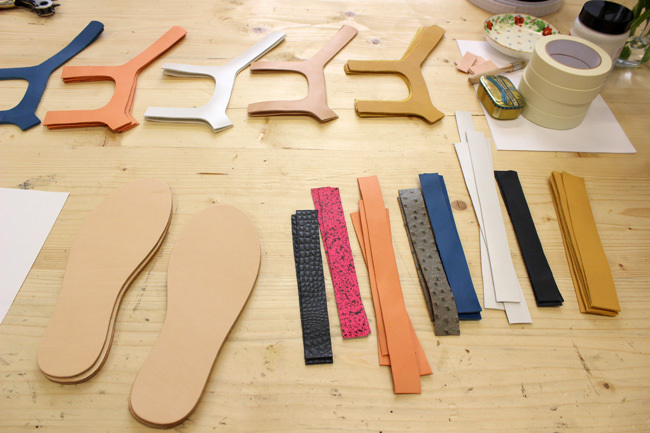 We began by designing our sandals - which was by far the trickiest bit! We were each given a pair of soles, and Amanda provided a range of trimmings, elastic, and ribbon for us to play with. We all went through several designs before settling on the final one - and believe me, this bit wasn't easy! Then, it was on to construction, which involved glue, hammers, waxed thread, and a lot of persistence. Sales and Comms Manager Jo's shoes ended up matching her outfit perfectly. We were also extremely happy that our incredible photographer, Fanni Williams, was able to join us on the day. We're now all trying to convince her that she needs to start a shoe range - her sandals were amazing! 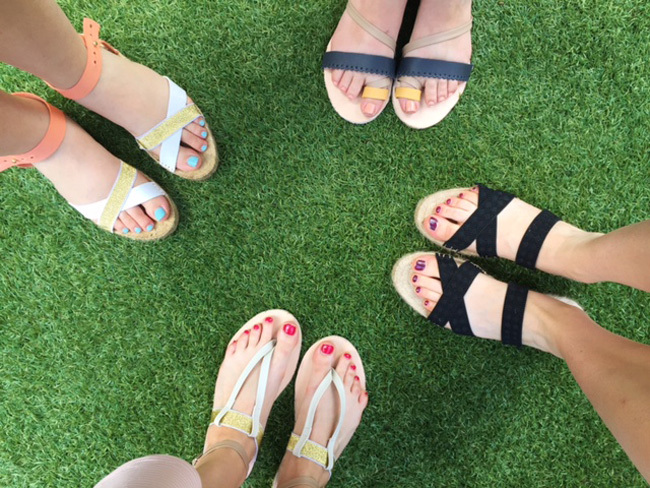 ...and here are our shoes! From left to right, we have Jo's, Lexy's, Tilly's, and Fanni's. Tilly and I opted for espadrilles, which are super comfy to wear and make - there'll be plenty more where they came from! 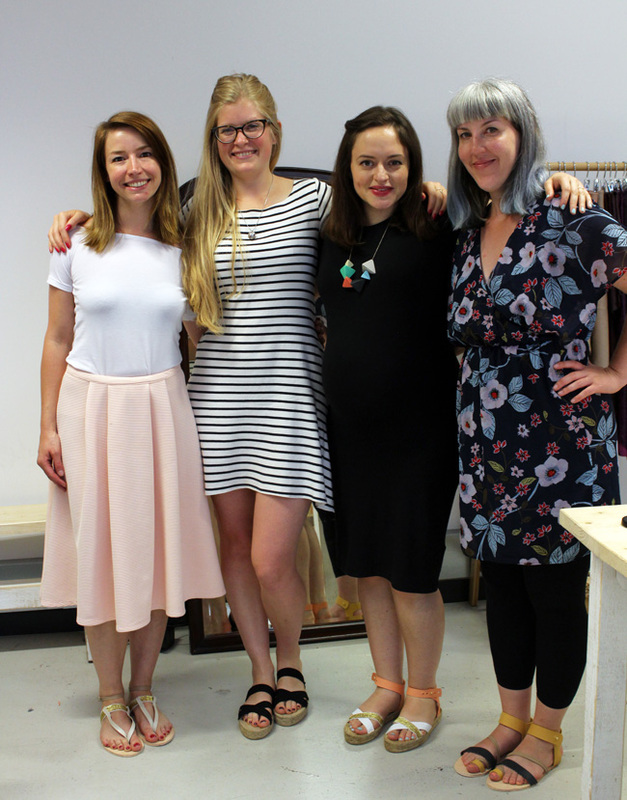 Here we are, all looking rather smug and happy in our lovely new shoes. 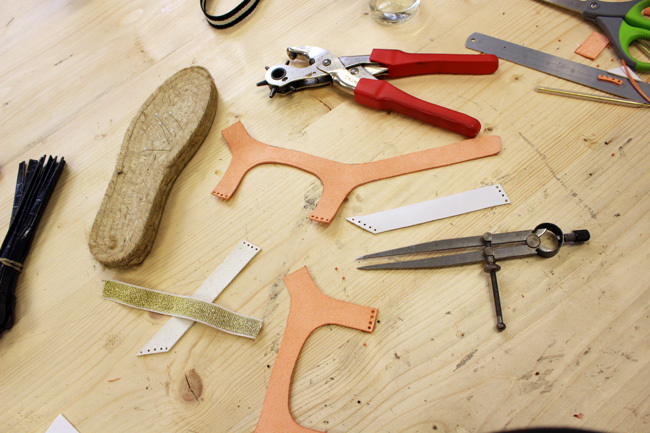 We had an absolutely fantastic day learning to make shoes - what could be better to compliment our handmade outfit with?! 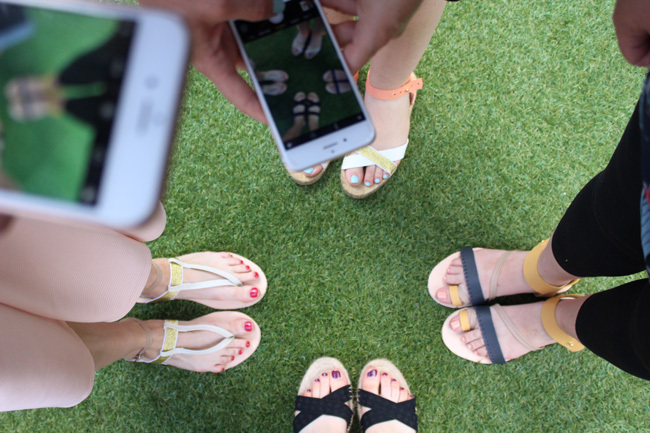 We couldn't recommend the course enough to anyone who wants to try their hand at shoe making, and I couldn't resist sharing this final pic with you... the things we do to get that perfect shot for Instagram! We hope you've enjoyed this little peek into what we got up to on our away day. 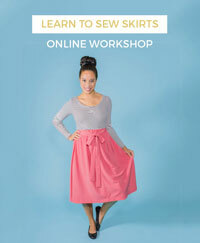 Check out I Can Make Shoes' workshop pages if you're feeling inspired - Amanda runs online courses, too!